The first electric bus is to take up service next April, while the order is to be completed by September 2019. The new buses will be called L’Aixpress and will connect the western part of the city of Aix en Provence with the southern part. Operator RDT 13 (la Régie Départementale des Transports des Bouches-du-Rhône) also asked Irizar to provide charging infrastructure. It takes the form of pantographs for opportunity charging stations at the beginning and end of the line. Other charging stations are to be installed in the depot. Frequent opportunity charging is necessary for the L’Aixpress buses as they have been scheduled to run every 5 minutes while stopping every 350 metres. 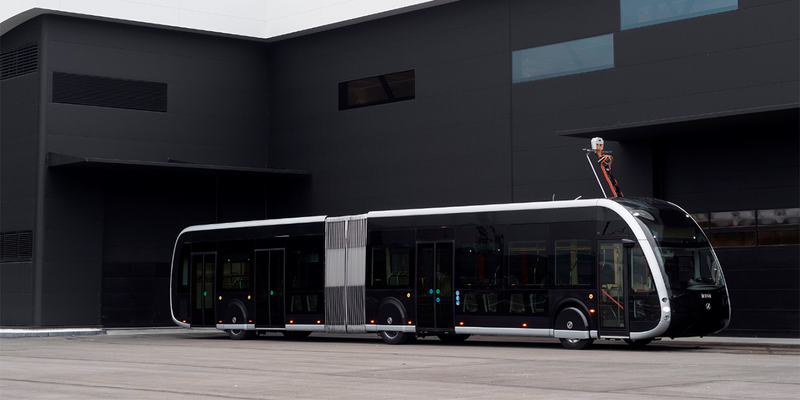 Also, the battery has a said range of 50 kilometres and being rather small means it can be recharged sufficiently in just 4 minutes, according to Irizar. 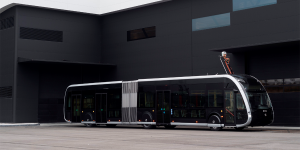 The 12 metre long Irizar ie-tram ordered by the French university town seats 22 passengers and has space for a total of 78 persons. The buses will be build in Spain where Irizar recently opened a new factory. For now, they make one electric vehicle every 2 days but plan to increase production to one electric bus per day from September reportedly. Demand has come from close to home as well as from other European countries. Madrid was among the first to utilise electric buses made in Spain reportedly. Furthermore, Irizar has recently entered a cooperation with Ferrostaal to sell and deliver electric vehicles across the DACH region.